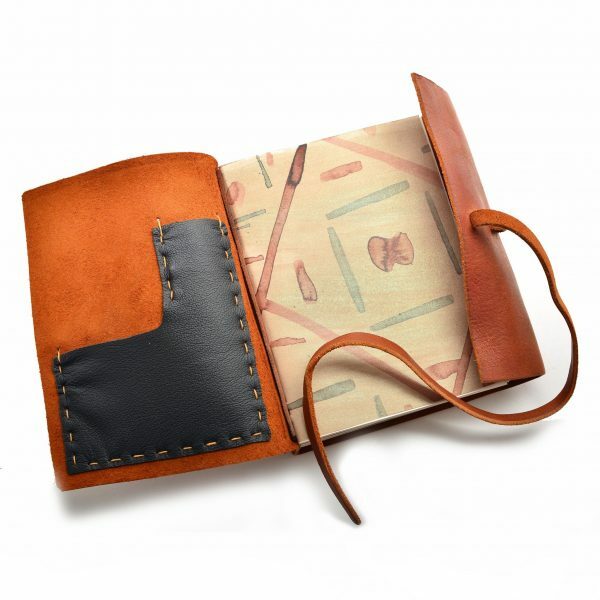 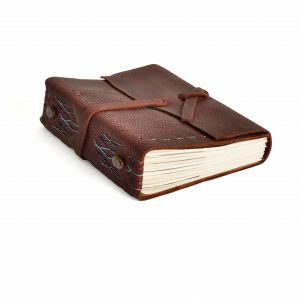 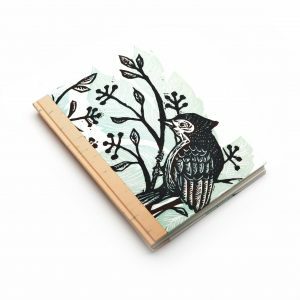 Hand stitched, leather bound journals with unlined, acid-free text pages. 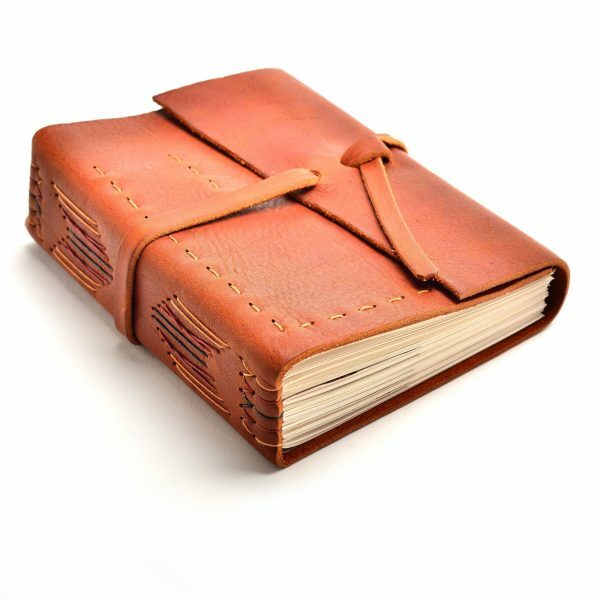 Darryl Maleike of western North Carolina carefully binds these books so that each page lays flat when open. 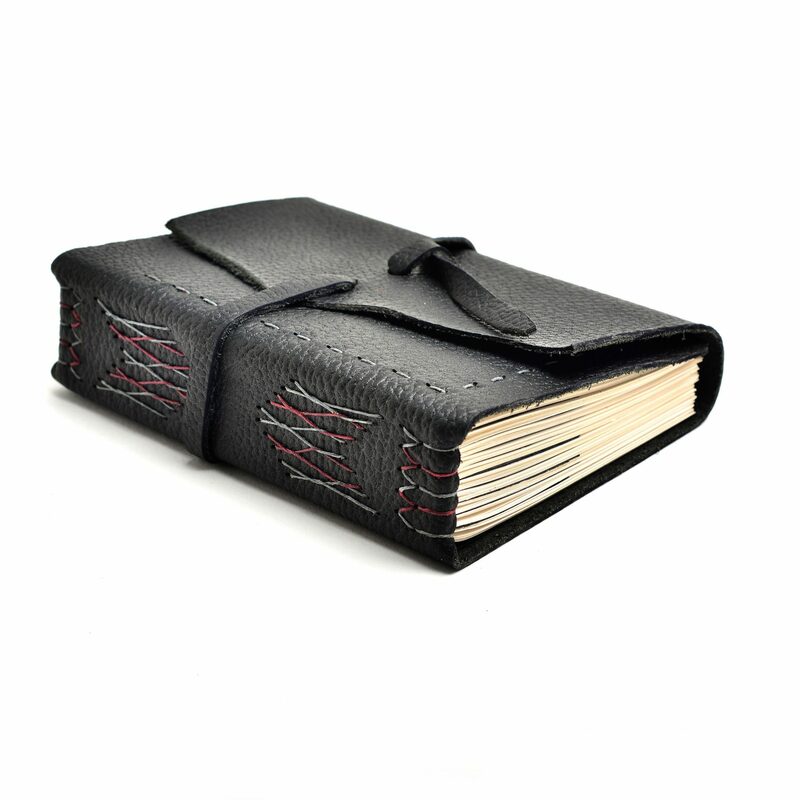 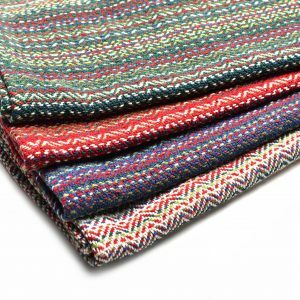 All journals have a unique spine, where 4-ply waxed linen thread of contrasting colors creates a design. Some are embellished with beads or stones. 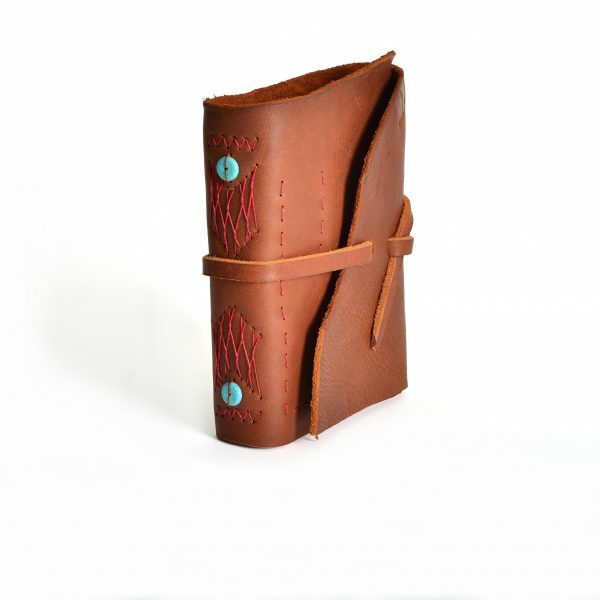 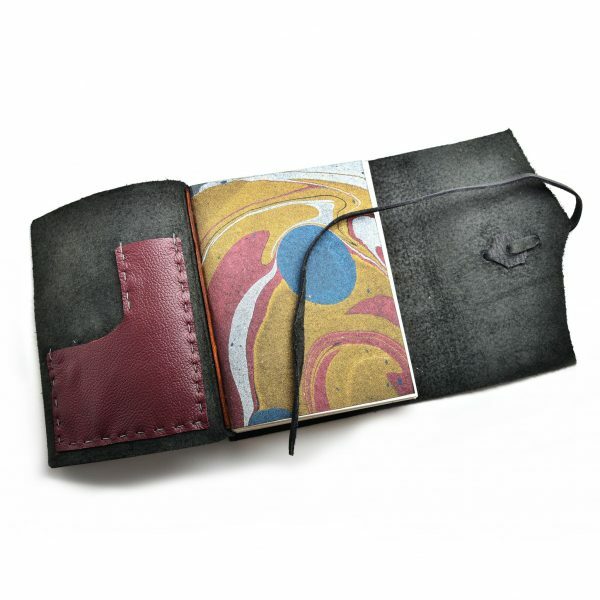 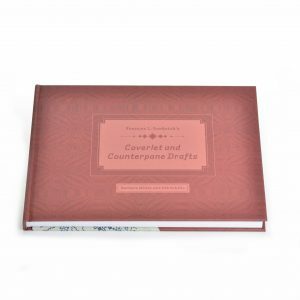 Due to the hand made nature of the journal, front flap may be a different shape than shown. Matching leather tie closure. 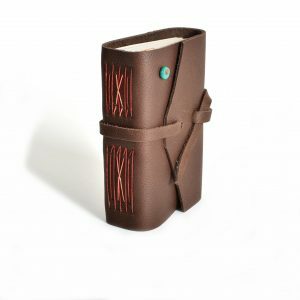 Keep-sake/pen pocket inside.